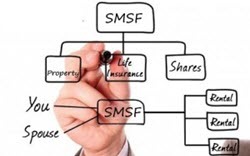 "To earn more, you must learn more"
Should you start an SMSF? 1) Do you have enough money? You can start your SMSF with less but ATO research shows you will need a minimum starting balance of around $200,000 for a self-managed fund to be beneficial. Not sure whether you have enough? We can help you find out. For example, you might have multiple super accounts with a total balance of more than $200,000. 2) Do you have the time to maintain it? Keeping your SMSF in good shape takes time as there are special rules about how it needs to be managed. Compliance and administration tasks such as the preparation of annual statements can be time consuming if you’re not experienced. If you don’t have the time to do this yourself Etlanda can help. Check out our SMSF page to find out more or call us on 02 9728 3885. 3) Do you have the skills and knowledge to run an SMSF long-term? SMSF owners are expected to have a good understanding of investment and SMSF legislation to make sure you operate within the confines of the law. You can’t claim ignorance. At Etlanda, we can teach you everything you need to know so you’ll feel confident and in control.